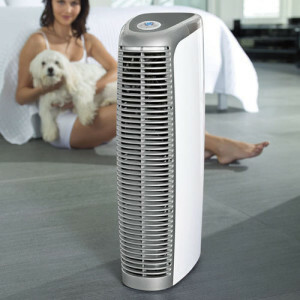 Air Purifiers Wiki • The Air Geeks, reviews of air conditioners, dehumidifiers and air purifiers. Well, Air purifiers are trendy these days and this is a good thing in our opinion, since the indoor air pollution might be worse than outdoor. However, there is still much to do to educate the average user regarding what these little units can and cannot do. Here is our brick in the wall! Are air purifiers good for asthma? Do air purifiers improve sleep, during the night or for a nap? Are air purifiers loud? Can I sleep in the same room? Can air purifiers cause headaches? Can air purifiers make allergies worse? Are air purifiers covered by insurance? Are air purifiers tax deductible? What are energy costs for an air purifier? Are air purifiers safe for babies and children? 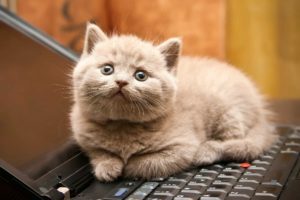 Are air purifiers safe for cats? Are air purifiers safe during pregnancy? Are air purifiers good for your skin? Are air purifiers good for cigarette smoke? Will an air purifier get rid of weed smell? Do air purifiers get rid of musty smells? Short version : Yes, in most cases. But see a doctor first. An air purifier captures airborne allergens and irritants to ensure that your room is dominated by clean and fresh air. 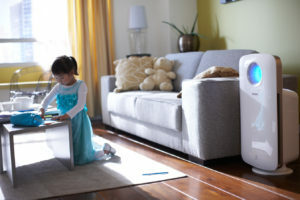 Most air purifiers are capable of trapping common airborne pollutants and they can, therefore, help to control asthma. Although these appliances are not capable of curing asthma, they improve indoor air quality thereby enabling you to control asthmatic reactions. Most airborne triggers are invisible to the naked eye. When inhaled, these contaminants can trigger wheezing, breathing difficulties, and other asthmatic reactions. An air purifier captures such airborne triggers before they find their way into your lungs. It is important to select an air purifier that is capable of trapping a high percentage of irritants from the air in your space. The effectiveness of an air cleaning system depends on the cleaning mechanism that it utilizes. HEPA technology is one of the most effective air cleaning mechanisms. Air purifiers that use this cleaning mechanism are capable of capturing up to 99.9% of airborne pollutants. This makes them a suitable choice for capturing allergens and other airborne particles that can trigger asthmatic reactions. In addition, HEPA filters are capable of capturing microscopic particles that are as small as 0.3 microns. In case you or a member of your family has been experiencing bouts of asthmatic reactions, then it is likely that the air in your room is contaminated by airborne particles and allergens. A suitable air purifier can transform the environment of your room by removing pollutants that trigger asthma. 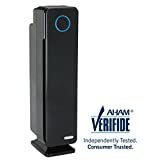 If you are looking for an air purifier that will clean the air in your space and help you to control your asthma, then a HEPA air purifier is recommended. Short version : No. But they can act on reducing the symptoms (asthma, allergies, etc.). Airborne contaminants can ruin the environment of your room and make it an unsuitable place for relaxing. Dust, pollen, allergens, pet dander, smoke, and chemical smells can be harmful especially when they are in high concentrations. These airborne contaminants can cause a wide range of health problems including breathing difficulties and allergic reactions. To protect your loved ones from these problems, it is necessary to invest in a good air cleaning system. The concentration of airborne pollutants in bedrooms and living rooms can reach unsafe levels due to the confinement of air within a limited space. In such environments, bacteria and viruses can multiply and transmit illnesses from one person to another. Some of the ailments that are spread by airborne disease causing microorganisms include colds, flus, and so on. Children and people with weak immune systems are highly prone to airborne ailments and it is, therefore, critical to ensure that your home is free from airborne disease causing microorganisms and other contaminants. Airborne pollutants can trigger allergic reactions and make it difficult for you to relax in your house. They can trigger coughs, watery eyes, sneezing, itchy skin and other allergic reactions. 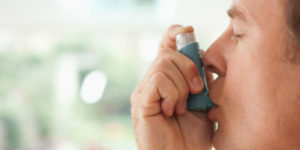 For people with asthma, airborne irritants can trigger mild or severe asthmatic reactions. Eliminating airborne trigger agents is one of the most effective ways of controlling these health problems. Peace of mind in a clean environment. An air purifier traps airborne contaminants to ensure that the air in your living room, bedroom, or study room is safe for you and your loved ones. These appliances use different cleaning mechanisms to remove a wide range of common airborne pollutants. Apart from capturing particles, most air purifiers are capable of removing bad smell from the air in your room. If you have been struggling to control your asthma or allergy, then an air purifier can help you to get rid of the trigger agents. The air purification system can also enhance the environment of your home to make it a safe place for you and your family. Short version : It is likely. In high concentrations, airborne pollutants can make your bedroom an uncomfortable place for sleeping. Airborne irritants can trigger problems that can make it difficult for you to enjoy your sleep. Apart from causing discomfort, they can trigger coughing, sneezing, and breathing difficulties. Lack of free circulation of air is a major cause of air quality issues in most bedrooms. If you have not been having a good sleep due to sinuses or breathing problems, then it is likely that the concentration of airborne irritants in your bedroom has reached unsafe levels. Airborne contaminants that can prevent you from enjoying your sleep include dust, dust mites, pet dander, mold spores, pollen, smoke, viruses, bacteria, exotic gases, and industrial poisons. Sleeping. Aka : the greatest thing. If you are struggling to improve your sleep pattern, then it is important to address the root cause of your insomnia. Improving the indoor air quality of your bedroom can help you to rediscover your sleeping pattern. An air purifier traps a wide variety of airborne contaminants to ensure that your bedroom is dominated by clean and fresh air. Air purification systems use a wide range of mechanisms to capture irritants before they find their way into your lungs. Most of them are capable of capturing pollen, dust, dust mites, pet dander, smoke, mold spores, bacteria, and other disease causing microorganisms. They are also capable of trapping bad odors before they find their way into your nostrils. Air purifiers are available in different designs and sizes. In case you are looking for an air cleaning system that is capable of effectively capturing most of the airborne contaminants, then you should go for a HEPA air purifier. HEPA filters are capable of trapping microscopic airborne irritants that are as small as 0.3 microns. 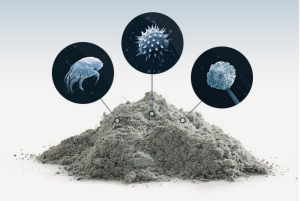 This filtration technology removes up to 99.9% of airborne pollutants. 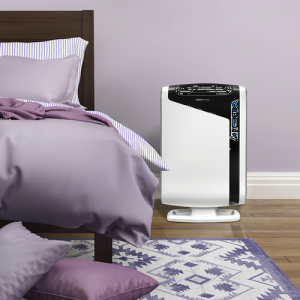 Whether you have been struggling to sleep due to breathing difficulties, allergic reactions, or sinuses, an air purifier can help to improve the indoor air quality of your bedroom and get rid of the irritants that cause your insomnia. For best results, you should select an air purifier that has the capacity to remove various contaminants from the air in your bedroom. You should, also, service your appliance on regular basis. Short version : generally, they are not loud. And you can choose extra-quiet air purifiers. 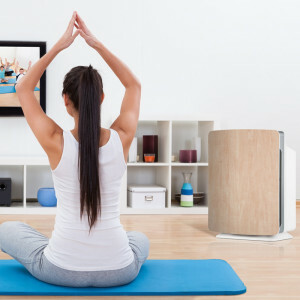 Most air purifiers have moving parts that produce sound when the appliance is running. The amount of noise depends on many factors including the size of the appliance, model, and mode of operation. Some air purifiers produce disturbing sound and it is, therefore, important to consider this factor prior to ordering a product. Most manufacturers provide the noise level of their products to help you select an appliance that meets your requirements. Are you highly sensitive to noise? If your answer is yes, then you should go for a whisper quiet air purifier. Loud air purifiers are unsuitable for quiet environments such as bedrooms, offices, and study rooms. It is, therefore, important to consider where you will be positioning your unit before selecting one. Old appliances tend to produce more noise than new ones. To reduce this type of noise, you should service your air purifier on regular basis. Cleaning the appliances and oiling the moving parts can help to significantly minimize the noise produced by your appliance. Replacing worn out parts with new ones can also help to minimize the interference caused by your air purifier. Short version : generally no. But it can happen through noise or smell at the beginning. The air we inhale contains a wide variety of airborne contaminants including pet dander, pollen, dust, dust mites, chemical fumes, bacteria, and viruses. Most of these airborne pollutants are harmful and can cause health problems such as coughing, sneezing, watery eyes, sore throat, itchy skin, and headaches. Considering that indoor air can stagnate and have high concentrations of pollutants, it is necessary to invest in an air purification solution. An air cleaning system captures airborne pollutants to ensure that the air in your room is clean and free from harmful allergens and irritants. Are you suspecting that your air purifier is the cause of your headaches? Chemical smells and bad odours are a major cause of headaches. Air cleaning systems are designed to capture them before they find their way into your nostrils. Some air purifiers produce a chemical smell when they are new and this can trigger headaches especially to people who are highly sensitive to bad smells. Fortunately, this chemical smell disappears after a couple of days. Air purifiers use different technologies to remove airborne pollutants from the air in your room. HEPA technology is one of the most effective air cleaning mechanisms. Air purifiers that are based on this technology are unlikely to cause health problems such as headaches. Ionization technology is also commonly used by air purification systems. Air cleaning systems that use this mechanism produce potentially harmful ozone. High concentrations of ozone can cause health problems such as respiratory issues and headaches. A sharp increase in the concentration of airborne pollutants in your indoor air can cause headaches especially to people who are highly sensitive to bad smells. If your air purifier is neither new nor based on ionization technology, then it is likely that something else is causing your headaches. 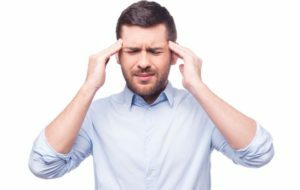 Airborne contaminants such as chemical fumes and industrial poisons from external sources could be the cause of your headaches or migraines. You can monitor the indoor air quality of your room to establish whether your headaches are caused by airborne pollutants. Short version : generally no. But it can happen with new air purifiers, or unserviced ones. Airborne allergens can trigger allergic reactions such as coughing, watery eyes, sore throat, and so on. An air purifier captures allergens and other airborne pollutants to ensure that the air in your home is safe for you and your family. You can position this essential appliance in your bedroom, kitchen, living room, study room, or office depending on your air cleaning needs. Air cleaning systems come in different sizes and designs and it is, therefore, easy to get a unit that is ideal for your space. An air purification system is less likely to trigger your allergies. By cleaning the air in your home or office, it improves the indoor air quality of your space thereby helping to protect you and your family from harmful airborne contaminants. If you have an effective air purifier, it can capture virtually all airborne pollutants in your indoor air. Common airborne pollutants that can trigger allergic reactions include pollen, dust, dust mites, pet dander, mold spores, and chemical smells. Some new air purifiers produce a chemical or plastic smell that can trigger allergic reactions. If you are highly sensitive to chemical smells, then it is advisable to run your new air purifier in an open space until the smell has disappeared. This unpleasant smell usually disappears after about one week. It is common for airborne particles to accumulate on the fan and other parts of an air purifier. As such, it is critical to clean the appliance on regular basis to ensure that it does not host the pollutants that it is supposed to eliminate. Accumulation of airborne pollutants inside your air purifier can encourage growth of irritants that can trigger your allergies. It is, therefore, advisable to ensure that your air purifier is serviced on regular basis. If you have been experiencing bouts of serious allergic reactions, it is necessary to establish the cause of the problem. Although an air purifier can be the cause of such reactions, it is important to consider other potential causes. If your air purifier has an air quality indicator, you can use the feature to get a true picture of the quality of air in your room. In case the quality is bad, then it is likely that high concentrations of airborne pollutants are causing your allergies to worsen. Short version : yes, if you can prove they are medically necessary to cure or control a health problem. Have you been struggling to control your allergy or asthma and you are looking for an air purifier that is capable of keeping the air in your room free from airborne allergens and irritants? If that is the case, it is important to consider if your insurance provider can cover the cost of such an appliance. Most insurance providers do not cover the cost of air products such as air purifiers and dehumidifiers because they do not consider them as medical necessities. It is, therefore, important to understand the requirements of your insurance provider prior to ordering a specific product for your air cleaning needs. High concentrations of airborne irritants can trigger or worsen some health conditions such as asthma and other respiratory problems. One of the most effective ways of controlling such conditions is to improve the indoor air quality of the spaces where you spend most of your time. Airborne irritants that can trigger health problems include dust, dust mites, pet dander, smoke, and chemical fumes. These pollutants can worsen your medical condition especially if your immunity has been compromised. It is, therefore, necessary to have a suitable air purification system. Most insurance providers cover the cost of devices that are medically necessary to cure or control a health problem. Unless you provide them with the documents to prove that the air purification system is medically necessary, they cannot cover the cost of buying it. If you already have a prescription, you should contact the benefits coordinator of your insurance provider for details on what they require. It is important to understand that requirements vary from one insurance provider to another. Short version : it depends! If you have purchased prescribed medication or medical supplies, then there are chances that you can benefit from tax deductions. Whereas some appliances can help to control a medical condition, it is important to know that some of them are not eligible for tax deductions. Even for medications and medical supplies that are eligible, you are required to meet specific requirements for you to benefit. In most cases, your request must be accompanied by documents to prove that whatever you have purchased is medically necessary. How does an air purifier help to control respiratory conditions? An air purifier traps airborne contaminants to improve the indoor air quality of the space where it is installed. It is suitable for capturing a wide range of airborne particles that can trigger or worsen respiratory problems such as asthma. Common airborne contaminants that can worsen your respiratory problem include dust, dust mite, pet dander, smoke, paint fumes, and mold spores. A highly effective air purifier is capable of trapping these irritants to make the air in your home and office safe for you. It is for this reason that medical practitioners can prescribe an air purifier as a medical necessity especially to people with chronic respiratory problems. There are many health benefits of having an air purification system in your house especially if you live in an environment with high concentrations of airborne pollutants. However, for you to benefit from tax deductions, a prescription is required to prove that the appliance is medically necessary for controlling your disease or disorder. If you have a chronic respiratory problem and your doctor has prescribed an air purifier as a necessary appliance, then it is easy for you to benefit from tax deductions. Short version : it depends on the size and the settings. Typically from 50 to 75 watts. The total energy consumed by an air purifier mainly depends on hours of operation, power rating of the appliance, and mode of operation. The power requirements of an air purifier vary from one appliance to another. It is critical to select an air purifier that has been optimized to consume minimum power. Energy Star rated appliances waste minimum energy and can they can, therefore, help you to save money. If you have a large bedroom, living room, or office, then you should go for an air purifier that is recommended for large spaces. Such high capacity units consume more power as compared to small air purifiers. In case you select a unit that is designed for spaces that are larger than your room, then the energy costs will be higher. Selecting a unit that is recommended for your space will enable you to save money. Most air purifiers are designed to offer different operation modes. Different operation modes have different power requirements. The high speed modes consume more power than low speed modes. If you are planning to cut the cost of operating your appliance, then you should avoid operating it at the highest speed. It is advisable to run your appliance at low speeds unless there is a high concentration of airborne contaminants in your living room, bedroom, or study room. You can also run your unit at the highest speed if you want to clean the air in your room faster. For best indoor air quality conditions, you should run your air purifier continuously. 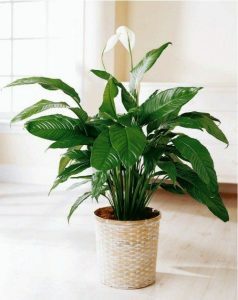 This ensures that the air in your space is always clean and fresh. On the downside, running your appliance continuously can increase energy costs. Most smart air purifiers have detectors that sense the air quality conditions of your room before activating the unit from an inactive mode. If you are planning to purchase an air cleaning system for your home or office, it is necessary to consider this feature. It can help you to significantly cut the energy consumed by your air purification system. As compared to older air purifiers, newer units offer higher efficiencies. You can maintain the efficiency of your air purifier by servicing it on regular basis and ensuring that worn out parts are replaced with new ones. A poor servicing pattern can reduce both the life and the efficiency of your unit. Look for this eco-friendly sign! In case you have an old model that has served you for years, then it is likely that it is consuming more power than it is necessary. Apart from offering improved efficiency, newer models offer advanced features and better performance. Short version : Yes. Look for a quiet air purifier and service it well! Babies are delicate and it is important to ensure that they are not exposed to harmful contaminants such as airborne pollutants. Common airborne contaminants that can harm your baby include pollen, dust, pet dander, mold spores, bacteria, viruses, and allergens. In high concentration, these irritants can trigger coughing, sneezing and allergic reactions. It is, therefore, important to ensure that the air in your room is clean and free from harmful pollutants. If you are looking for an appliance that will help to improve the quality of air in your home, then you should invest in an air purifier. Air purifiers use different mechanisms to trap airborne contaminants and it is critical to select a unit that cannot affect the health of your baby. HEPA technology uses a series of filter to trap pollutants before they find their way into your baby’s lungs. HEPA technology does not produce ions or ozone and it is unlikely to harm your baby. In addition, this technology is highly effective in capturing a wide variety of harmful airborne pollutants. Some air purifiers are known to produce ions and ozone. In high concentration, ozone can affect the health of your baby and it is, therefore, important to avoid air purifiers that use ionization technology to remove contaminants from the air. When selecting an air purifier for your baby’s room, it is also important to consider the amount of noise produced by an appliance. You should select an air purifier that runs quietly. Airborne contaminants can affect the health of your family as well as your pets. Airborne irritants and allergens such as chemical smells, mold spores, dust and microbes can make your room an uncomfortable place for your cats and other pets. To promote the health of your pets, it is important to ensure that the air in your house is always clean and fresh. Just like most pets, cats produce airborne contaminants that can cause itchy skin, sneezing, itchy eyes, and so on. An air purifier captures these particles to ensure that they do not cause harm to you or your family. If you have cats, it is necessary to select an air purification system that is capable of trapping cat odors, dander, and dandruff. An air purifier that combines HEPA filtration and activated carbon granules is capable of eliminating the airborne pollutants produced by cats. When selecting an air purifier for your house, it is necessary to consider the effects that it is likely to have on your cats. Most air purifiers are unlikely to affect your cats or other pets. Nevertheless, some air purifiers produce loud sound and they can, therefore, be a source of disturbance to your pets. Furthermore, air purification systems that use ionization technology to clean air may be unsuitable for your pets. These air cleaning solutions produce ozone. In high concentrations, ozone and chemical fumes produced by air purifiers can harm your pets. If you have been struggling to reduce airborne pollutants from the air in your home, then you should invest in a quality air purifier. An air purifier cleans the air to create a favourable environment for you and your pets. Short version : during pregnacy, it is safe to avoid changes in the chemical composition of what you breathe. Studies have shown that airborne contaminants can cause serious threats to pregnant women and their unborn babies. After investigating over 3 million births, researchers have established that most birth weight-related issues are caused by airborne contaminants such as chemical poisons and gases. In areas with high amounts of airborne pollutants, there are more cases of underweight births. Underweight new-borns are susceptible to respiratory problems and other health issues. It is, therefore, critical to ensure than pregnant mothers are not exposed to harmful airborne contaminants. If you are looking for an air purifier for a pregnant woman, then it is necessary to consider its capability to capture airborne pollutants. Although there are air purifiers that use one filtration methods to remove airborne pollutants, most of them use a combination of mechanisms. For best results, you should select a unit that combines different filtration methods to clean the air. Although most air purifiers are safe for pregnant women and their unborn babies, studies have shown that some filtration mechanisms produce potentially harmful molecules. For instance, air purifiers that are based on ionization technology produce ozone. Ozone can harm the mother and the baby especially if it is in high concentration. It is, therefore, not advisable to select an air purifier that produces ozone. It is advisable for pregnant women to avoid exposure to fumes from chemicals such as paints. Such fumes can not only harm the mother but also the unborn child. Some air purifiers produce chemical smells when they are new and it is advisable not to use them in enclosed spaces until the unpleasant smell has disappeared. Short version : the cause of some skin-related issues can indeed be traced back to pollution of air. The air that surrounds us contains airborne contaminants that can harm our skin. Dust mites, pet dander, microbes, chemical poisons and other airborne contaminants can be harmful to your skin especially when they are in high concentrations. To protect your skin from their harmful effects, it is important to ensure that the air in your room is always clean and uncontaminated. You can enhance the indoor air quality of your space by ensuring that the rooms are properly ventilated. In most cases, ventilating your room is not enough to ensure that the space is free from airborne pollutants that can harm your skin. An air purifier eliminates airborne contaminants from the air in your room to ensure that you and your loved ones are safe from harmful pollutants. If you have been experiencing skin irritations, then it is likely that the air in your home has high concentrations of airborne contaminants. An air purifier improves the quality of air in your room and it is advisable to have one. By eliminating contaminants, an air purification system creates an environment that is safe for you, your family, and your pets. Short version : yes. We help you pick the right unit. Cigarette smoke does not only threaten the health of the smoker but also those who are exposed to the smoke. 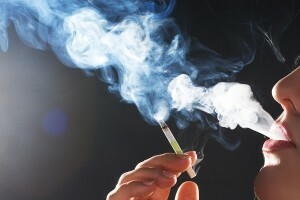 The smoke that is exposed to non-smokers is referred to as second hand smoke and it can cause serious health problems. Second hand smoke is rich in harmful chemicals and intoxication depends on the level of exposure to the smoke. It is estimated that second hand smoke contains over 7,000 potentially harmful chemical compounds. For people who stay with smokers, the levels of these toxic chemicals in their body can be high. Such people are at higher risk of contracting serious health problems. To avoid exposing yourself or members of your family to harmful tobacco smoke, it is important to have an air purifier that is capable of capturing airborne tobacco smoke particles and smell. Apart from exposing smokers and non-smokers to serious health problems, tobacco smoke can worsen respiratory problems. If you or a member of your family is asthmatic, it is advisable to ensure that the air in your home is free from tobacco smoke. Although ensuring that your home is well ventilated can help to reduce the amount of tobacco smoke, it is advisable to get means of removing the contaminant. Since not all air purifiers are capable of trapping cigarette smoke, it is important to consider the capabilities of different appliances when selecting an air cleaning solution for your home. Studies have shown that people who are exposed to cigarette smoke are more likely to get ear infections, lung infections, and asthma. Children who live with smokers are at higher risk since they are more sensitive to airborne contaminants. Investing in a quality air purifier helps to protect your children from life threatening health problems associated with cigarette smoke. For best protection, you should select an air purifier that is optimized to remove tobacco smoke from the air in your home. Most of such air purifiers have activated carbon for removing bad smell and HEPA filter for capturing the minute cigarette smoke particles. Short version : yes, weed and tobacco alike. We help you pick the right unit here. Weed smell and smoke can harm both the smoker and the non-smoker depending on the levels of exposure to the contaminants. Studies have shown that people who are exposed to weed smoke are more likely to get lung problems. Children and people with weakened immunity are at higher risk of contracting health problems as a result of exposure to weed smoke. It is, therefore, critical to ensure that weed smoke is removed from the air in your home. Get rid of weed smell in your home! Marijuana smell spreads quickly and can dominate your home if you do not have an effective means of capturing the distinct odour. Although you can reduce the smell by ensuring that your house is properly ventilated, the approach is not as effective as using an air purification system. If you have been struggling to minimize weed smell from the air in your home, then you need to get an air purifier that is capable of trapping the unpleasant smoke and smell. Not all air purifiers in the market are capable of capturing weed smell and smoke. It is, therefore, necessary to consider the capabilities of a unit before ordering one for your air cleaning needs. Some people use deodorants as a way of reducing weed smell from the air in their homes. It is not advisable to use that approach since most of the deodorants add airborne particles to the air. 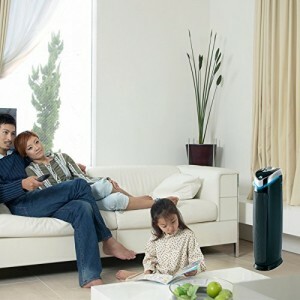 An air purifier is a suitable choice since it captures the smell and smoke before they find their way into your lungs. Apart from capturing the harmful particles, the appliance removes bad smell to ensure that the air in your room is odourless. Most of the air purifiers that are capable of capturing weed smell use a combination of HEPA technology and activated carbon filtration. The former captures the minute particles while the latter removes the distinct weed smell. 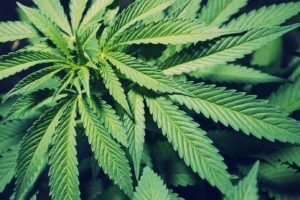 If you have been exposing yourself or members of your family to marijuana smell and smoke, then you need to get a solution that is capable of eliminating those contaminants from the air. An air purifier will not only pull the contaminants from the air but it will also ensure that the air in your room is always clean and fresh. Short version : yes. Find the best air purifier for mold. Mustiness can ruin the environment of your home and make it an unsuitable place for relaxing with your friends or family. 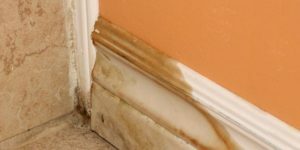 Mustiness is common in older buildings and the smell can make a house uninhabitable especially during wet seasons. If your house is not properly ventilated and you are looking for means of eliminating staleness, then you should buy an air purifier. An air purifier captures airborne contaminants such as irritants, allergens, and odours to ensure that your room is dominated by clean and fresh air. You can improve the air quality conditions of your room by opening doors and windows to allow free circulation of air. Although this approach can help to minimize musty smells, it is not an effective way of ensuring that the air in your home is fresh and clean. An air purifier is the most effective way of removing musty smell from the air in your room. 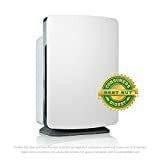 Apart from removing musty smell, an air purifier is suitable for capturing mold spores, pollen, pet dander, dust mites, viruses, bacteria, and other airborne contaminants that could be ruining the environment of your home. The effectiveness of an air purifier mainly depends on the mechanism that it employs to remove airborne contaminants from the air. Since not all air purifiers are capable of effectively removing musty smell, it is necessary to consider the capabilities of available units before ordering a specific one. 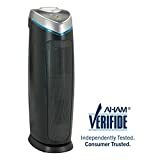 Most HEPA/activated carbon air purifiers are capable of eliminating unpleasant smells and other airborne contaminants. It is also important to consider the size of your room. If you have a large room, then you should go for a unit that is recommended for large spaces.